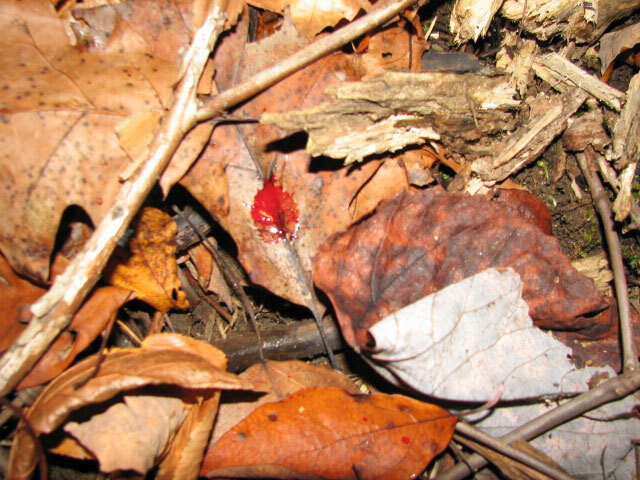 Look at the blood sign and answer the clue below. Which direction is the deer headed? ?